Help Rural Girl Children receive Education for Free. 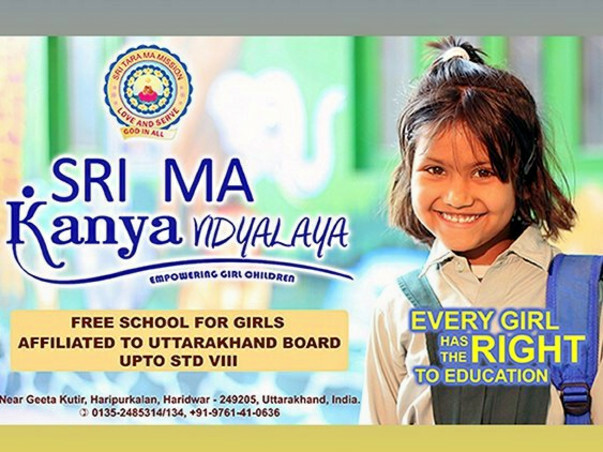 Sri Ma Kanya Vidyalaya is a Free School for Girl Children. It is located near the holy city of Haridwar, Uttarakhand, India. It has been founded by Divine Mother Sri Tara Ma under the aegis of Sri Ma Trust. 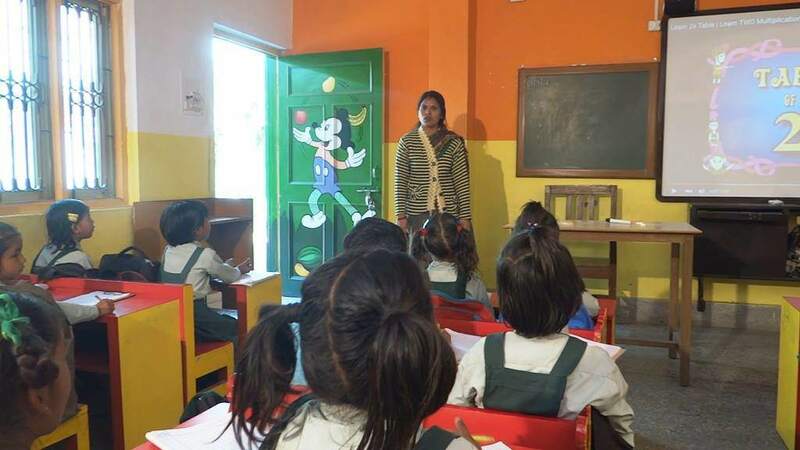 Rural girl children seldom get an opportunity to study and many who initially do get, drop out under pressure from family for want of funds at some point of time or the other. Help these girl children get an education and make a life for themselves. A Nation prospers where Girl children Progress! All students receive Hindi medium education. 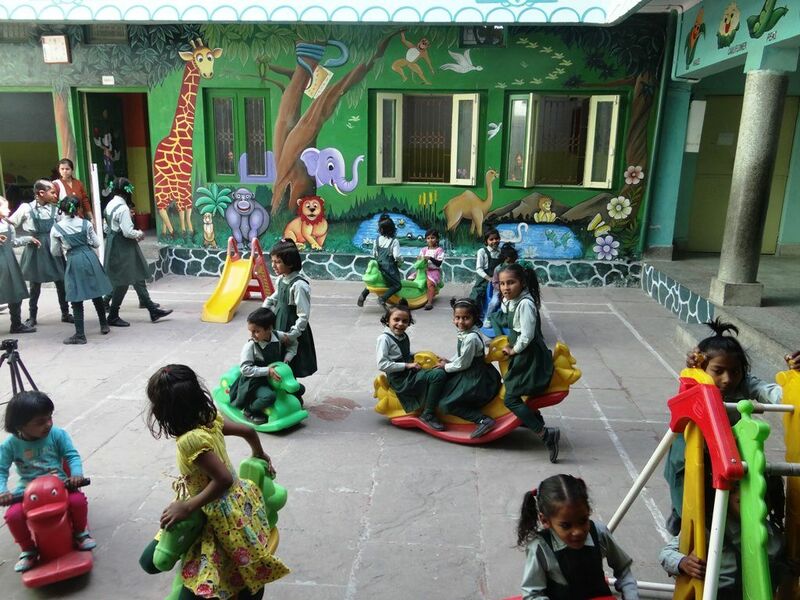 The school is affiliated to the Education Board of the Indian State of Uttarakhand. The school provides modern, digital education with projectors and computers installed in all classrooms. The school has 10 Mbps Internet connection. 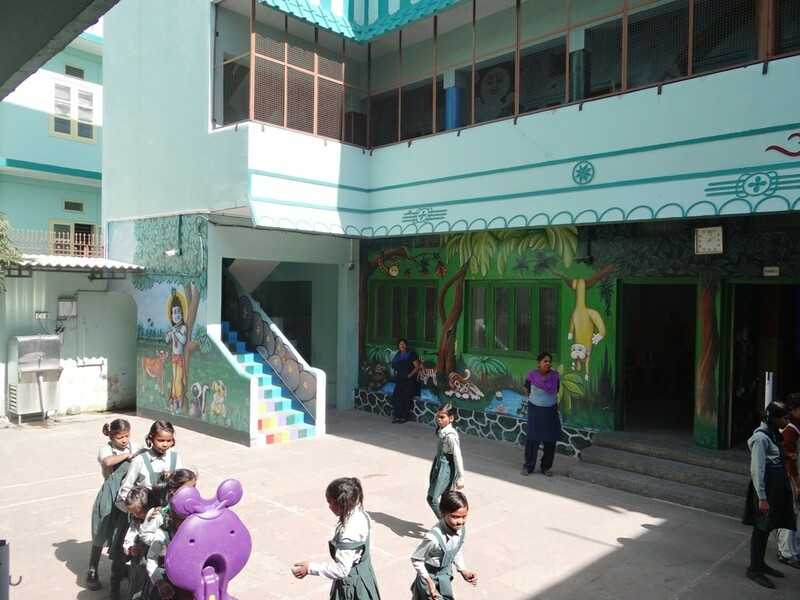 The school has all equipment needed to provide excellent kindergarten education with murals on the walls to enthuse children and make time in school fun. 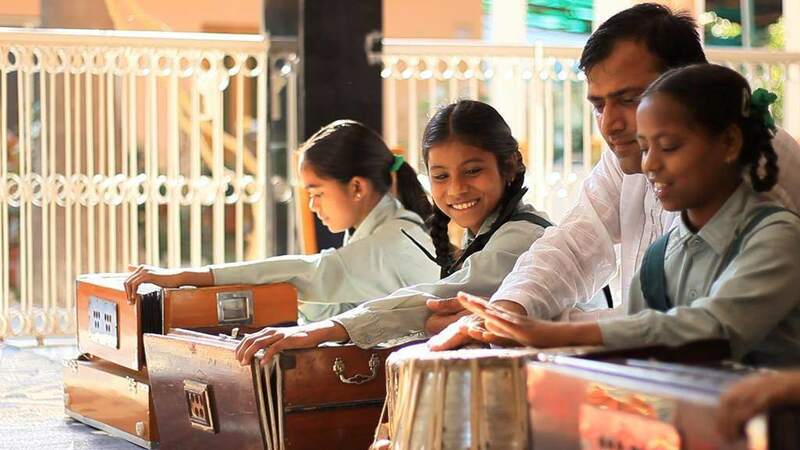 The school also provides training in activities like music, dance, sports and games thus making the delivery of education wholesome, holistic and complete in all respects. 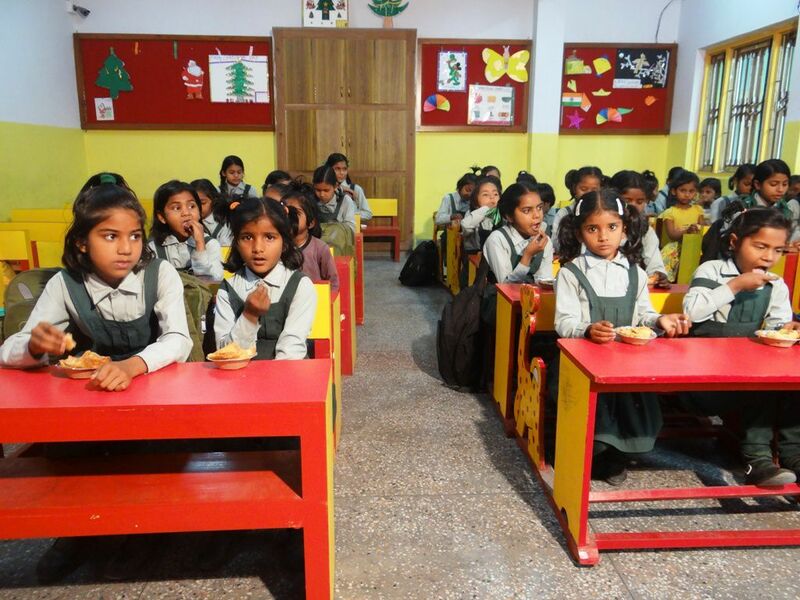 Sri Ma Kanya Vidyalaya is a running school and has ongoing expenses towards Salaries and administration. 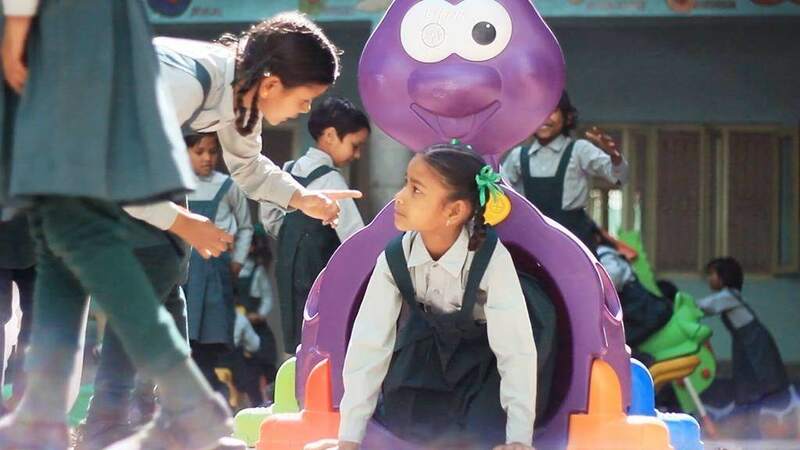 It is run completely free of cost and exclusively for rural girl children. The school strength is 156 girl children. There are 8 teachers. Student teacher ratio is 1:20. 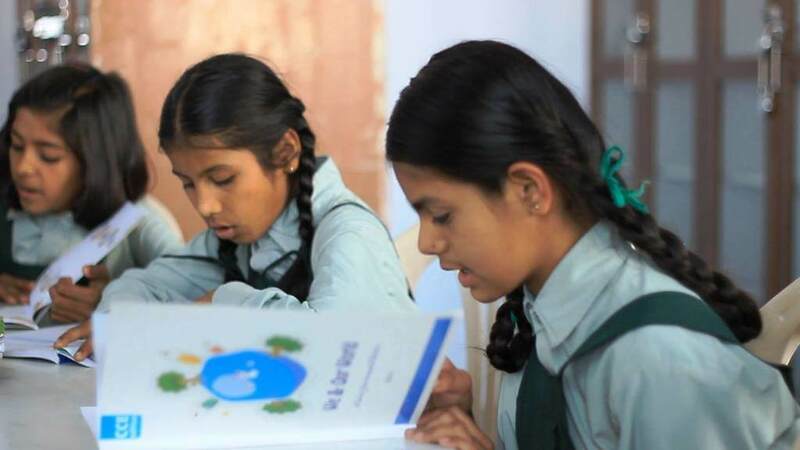 The school uses TATA classedge E Learning content as a part of its pedagogical methods. Each class is equipped with High End Projectors and Fast speed internet. Apart from academics/scholastics children are engaged in all round developmental activity like sports, music, dance and arts. Children are extended free bus facility too alongwith our regular CBSE school students.